Bukit Brown is the kind of place that could be easily missed in skyscraper-filled Singapore. Bordered by a major highway and several major roads, this 90-year-old cemetery sits in a peaceful, green pocket almost in the centre of the bustling city state. Believed to be the largest Chinese cemetery outside China, it hosts about 100,000 graves – many belonging to Singapore’s pioneering immigrants and war heroes. But now the place of repose is in the spotlight. The government wants to build an eight-lane road through a part of it. Down the line the area will be developed to provide housing for some 50,000 people and a future train station. The fate of the site has lit a fire of activism among some Singaporeans. Not one, but seven civic groups have appealed to the government to rethink its plans. ”Development need not come at the expense of heritage, and vice versa,” said Terence Chong, a committee member of the Singapore Heritage Society, one of the seven groups. Public interest in Bukit Brown was kindled in the middle of last year after it was reported that the area was designated for residential development. Letters pleading the case for the cemetery began pouring in to the newspapers. Bukit Brown, which means ”Brown’s hill” in Malay, was named after a British merchant, George Henry Brown, who lived in the area in the 19th century. The heritage society published a book on Singapore’s disappearing cemeteries – Bukit Brown is not the first to fall victim to urban sprawl. 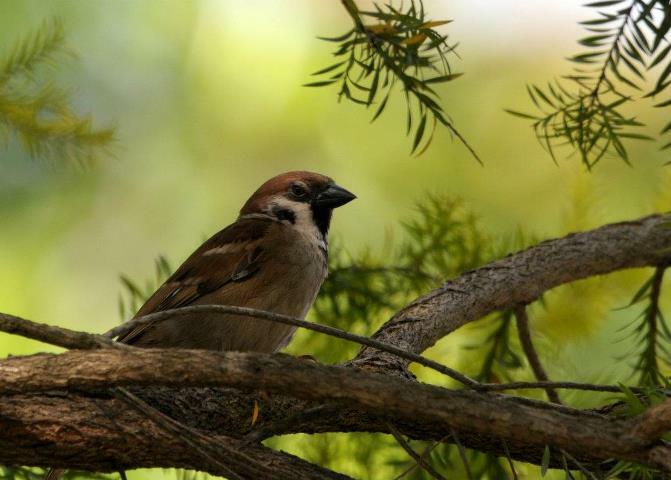 The Nature Society of Singapore, extolling the ecological value and biodiversity of the area, proposed that it be designated as a park that could potentially be listed as a Unesco heritage site. Last month, officials announced details for the planned road that included some concessions. A part of the road will be built as a bridge across a valley, hence minimising the impact on the flora and fauna and helping to preserve natural drainage. The exhumation of graves will now take place next year, instead of later this year as planned, to give family members more time to register the graves. For the first time, the government is funding the documentation of the tombs. A committee has been tasked with ensuring detailed records of personal histories, heritage and rituals are kept. 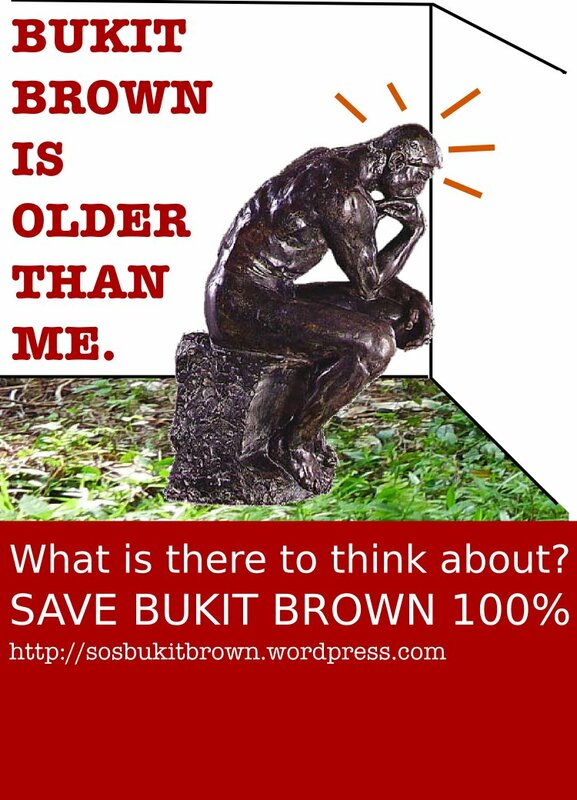 But for the activists behind the call to save Bukit Brown, that does not come close to the outcome they had wanted. Bukit Brown is not just any old cemetery, they said. It retains a distinctive slice of the multi-ethnic country’s fast disappearing heritage. ”It’s one place where you can actually touch the 100-year-old tombs and see faded photos of men and women who contributed to Singapore’s story in one way or another,” said Erika Lim of the SOS Bukit Brown group. On the same day that the details of the road were announced, the activists called for a moratorium on all development plans for the area. ”Bukit Brown is the last historic remaining cemetery in Singapore,” said Raymond Goh of Asia Paranormal Investigators – better known as the ”ghostbusters” of Singapore. Mr Goh, who conducts heritage tours in Bukit Brown, said that the earliest grave found in the burial grounds dated back to 1833. ”Once destroyed, it is gone forever,” he said. But the decision on the road has been made. ”Planning for the long-term in land-scarce Singapore does require us to make difficult trade-off decisions,” the Ministry of National Development said in an email to the BBC. This is not be the first time that the government, not known for tolerating dissent, has faced public outcry over development plans. But it has also shown itself amenable to civic concerns. A plan 10 years ago to reclaim a wetlands area on an island was pushed back after nature lovers led a campaign against it. The parks authority has since built new amenities for visitors to the area. 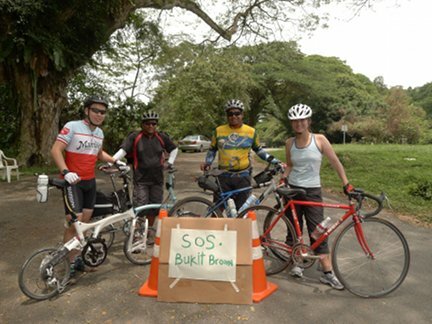 The activists for Bukit Brown have expressed disappointment at the ”lacking” engagement with officials. But, the ministry said, it was ”not consulting” on whether to build the road ”from the onset”. ”While we disagree on the road and development of Bukit Brown, we do share the belief that we need to retain and also celebrate the heritage of Bukit Brown,” it said. The Bukit Brown issue also points toward an evolving social compact between the government and an increasingly vocal electorate. Singaporeans are now ”much more educated and vocal” and ”organise together more easily”, Prime Minister Lee Hsien Loong told reporters this week after the Asean summit in Cambodia. The government, he said, had changed the way it engaged with Singaporeans, and that had been ”necessary” and ”helpful”. Since the country’s last general election in May 2011, when his ruling party saw the lowest share of overall votes since independence at 60.1%, he has called for more engagement. ”But it will take some time more, and the balance between speaking out and working together is something which still needs to be worked upon,” he said. For many families, however, the Qing Ming festival this week could be the last time they carry out the annual Chinese tradition of visiting and cleaning the ancestral tombs in Bukit Brown. One of the more than 3,700 graves making way for the road is a 1940 tomb that is the resting place of Toh Yong Soon’s grand-aunt. When he performed the Qing Ming rites this year, he said, he informed her that she would soon be ”moving house”. He has made plans to relocate her grave.